For the university previously known as the University of Alaska, see University of Alaska Fairbanks. 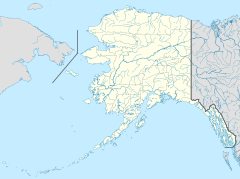 The University of Alaska System is a university system in Alaska. The UA system was created in 1975. It comprises three separately accredited universities on 19 campuses. The system serves nearly 30,000 full- and part-time students and grants 400 unique degrees. Since the population of Alaska is smaller than most U.S. states, the University of Alaska System is a relatively small one. However, it does have several notable academic departments. At UAF, these are the geology department, the atmospheric sciences department, and the wildlife biology department. Reflecting the state's small population, the amount of Federal land granted to the University of Alaska under the Morrill Act was the second-smallest grant in the country. The University of Alaska is formally established under Article VII of the Alaska State Constitution. Article VII also establishes a Board of Regents, appointed by the Governor and confirmed by the Legislature, that is tasked with governing the University. All Regents serve eight-year terms, except for the Student Regent who is nominated by the three main campuses for a two-year term. The Board selects a University President who oversees the statewide administration. Under the president, responsibility for the three main universities is assigned to their respective chancellors. There is also the Coalition of Student Leaders, composed of representatives from the various UA student governments around the state that advocates for student issues. The University of Alaska Anchorage (UAA) is the largest university in the state, with approximately 20,000 full- and part-time students across all of its campuses. There are twelve Colleges within UAA, four of which are community colleges in Valdez, Soldotna, Homer, Kodiak, and the Mat-Su. UAA has thirteen different sports through the NCAA, and compete nationally as the Seawolves. UAA also boasts the nationally competitive Seawolf Debate Team. The Carnegie Foundation[disambiguation needed] has classified the institution as a community engaged campus with high enrollments in undergraduate programs, and a balance among arts, sciences, and professional preparation. Alaska's only medical school or WWAMI program is also administered through the Anchorage campus. The campus is also home to the only FAA-approved collegiate flight training program in the state. The University of Alaska Fairbanks (UAF) was known officially as the University of Alaska from 1925 to 1975. UAF is home to the noted Geophysical Institute, which operates the Poker Flat Research Range, a collegiate rocket test range. Also, there is the Arctic Region Supercomputing Center, the location of the only Cray supercomputer in the Arctic region, and the School of Fisheries and Ocean Sciences which has facilities and research projects all over Alaska and the Arctic Ocean. It is the first university founded in Alaska and a flagship institution of the University of Alaska system. The University of Alaska Southeast (UAS) is located in the state's capital, and is the smallest system. Although it has campuses in Juneau, Sitka, and Ketchikan, the Juneau Campus is the largest of the three. UAS focuses on a strong liberal arts education and experiential learning. There are four academic schools at UAS; the School of Arts & Sciences, the School of Management, the School of Career Education, and the School of Education. As of 2017, the Board of Regents of Alaska have appointed UAS as the University of Alaska's center for the College of Education. ^ "About UA | University of Alaska System". www.alaska.edu. Retrieved 2015-11-09. ^ "About UA | University of Alaska System". www.alaska.edu. Retrieved 2015-09-16. ^ Johnsen, James (2002-05-03). "Reengaging the University: A Case Study of the University of Alaska, 1998-2002". University of California-Berkeley. Archived from the original on 2006-10-27. Retrieved 2007-01-31. .
^ "Members | Board of Regents". www.alaska.edu. Retrieved 2015-11-10. ^ "Coalition of Student Leaders | System Governance". www.alaska.edu. Retrieved 2015-11-10. ^ "About UAA". www.uaa.alaska.edu. Retrieved 2015-11-10. ^ "Athletics". www.uaa.alaska.edu. Retrieved 2015-11-10. Wikimedia Commons has media related to University of Alaska System.